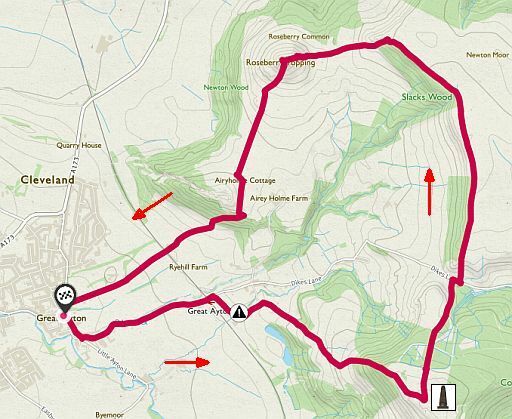 • 23 betekent: de wandeling eindigde op de 23ste plek in Britain's Favourite Walks: Top 100. • Klik je op dit nummer 23 in de kaart, dan word je doorverbonden met kader 23 hieronder. ...................................................................... ( the next step down from a National Park). 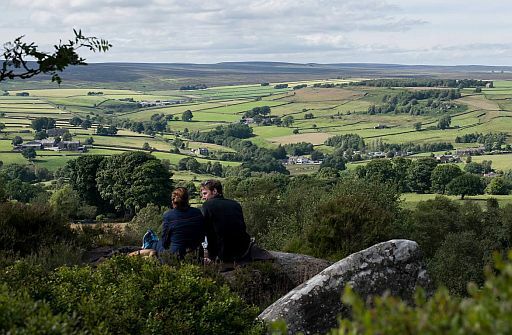 .. het Yorkshire Dales National Park en het North York Moors National Park. 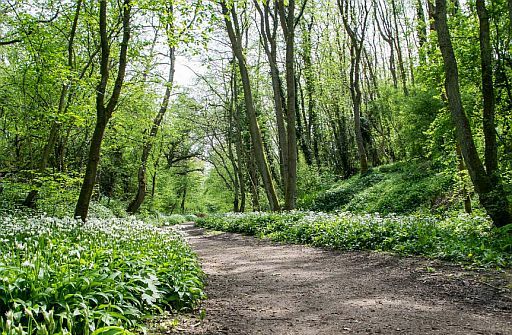 A beautiful countryside walk that’s full of surprises. 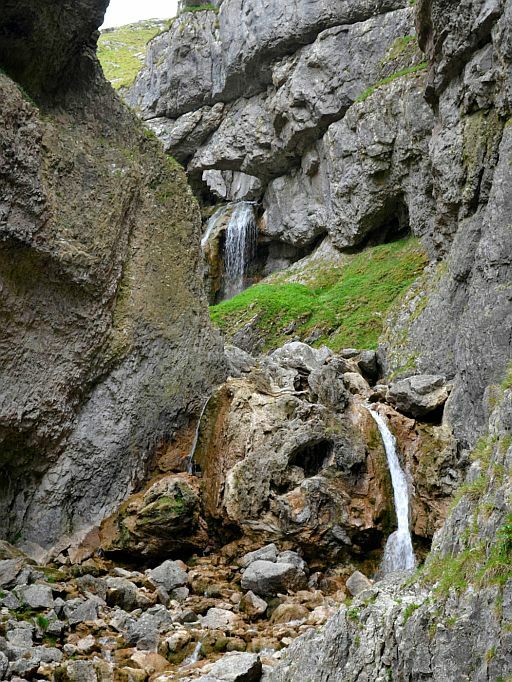 This circular walk from the pretty village of Malham visits two geological wonders – Malham Cove and Gordale Scar – in one action-packed walk through the Yorkshire Dales National Park. 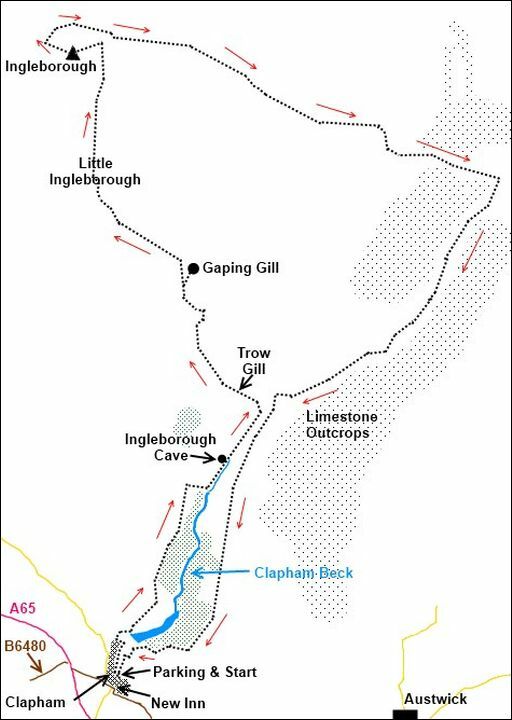 comprises a curved limestone cliff at the head of a valley. disappears into a ‘sink’ about a mile from the edge. was in the early part of the 19th century. Limestone — A hard sedimentary rock that is composed of over 50% carbonate minerals. blocks known as clints separated by fissures known as grikes. between the rectangular blocks in a limestone pavement. chemical weathering and are sometimes over a metre in depth. protected environment since the last Ice Ages. walls and stunning water cascades. picture-perfect waterfall of Janet’s Foss back to Malham village. can be slippery, particularly after periods of heavy rain. 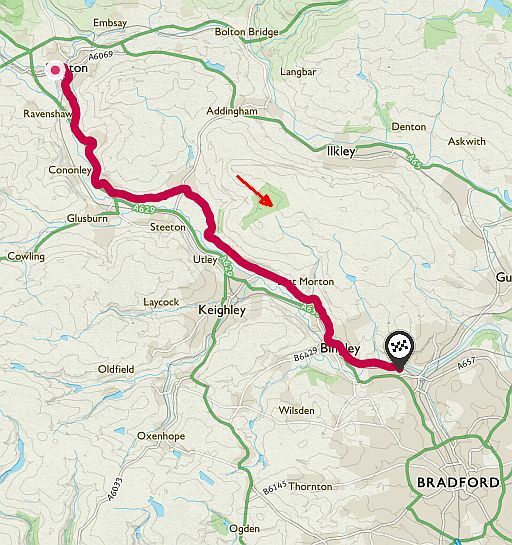 • Start / finish: at Roadside Parking in Malham. 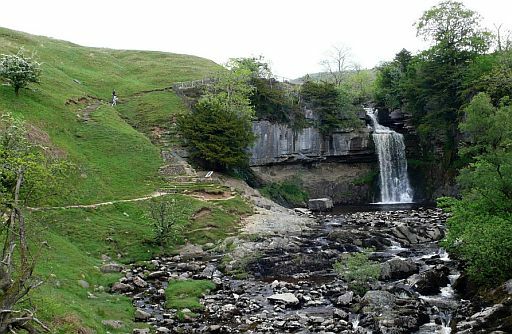 • Malham National Park Cente: heeft brochure van de Malham Trail. 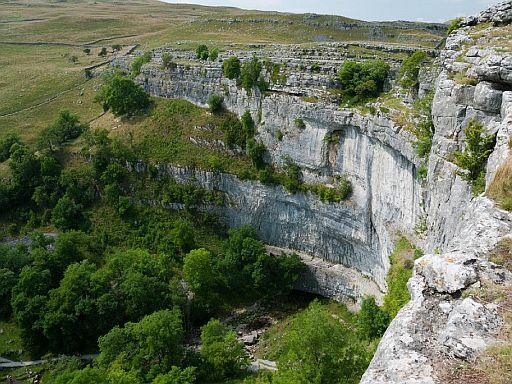 • Malham Cove is a cliff of 70 m high and 270 m wide. .. eroded the. lip to form a curve. • Limestone pavement above Malham Cove. .. joints ( = vertikale barsten ) in the limestone. 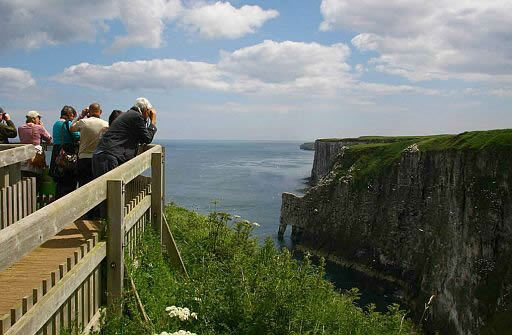 .. overhanging limestone cliffs more than 300-feet high. Hier heb je upland (= land lying above the limit of enclosed farmland ). ......van dit wandelgidsje (zie lijst blz. 9 ). sound of seabirds in spring and summer. a good test before you arrive in the picturesque Robin Hood’s Bay. set high on a beautiful headland. Whitby en Robin Hood's Bay zijn allebei mooi. De wandeling ertussen vond ik maar matig. .. Finish: Robin Hood's Bay. .. There is a coastal bus. het kustpad daartussen is niet bijzonder. Neem daarom liever wandeling 8 uit je wandelgidsje. 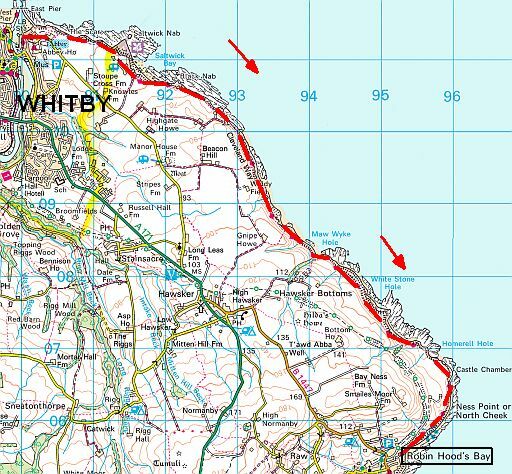 Dat voert van Whitby noordwaarts naar Staithes. Dat is wel een echte topper. 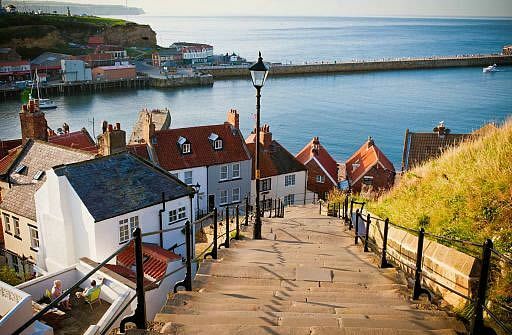 • Whitby is steeped in fishing and maritime history. .. to the New world. 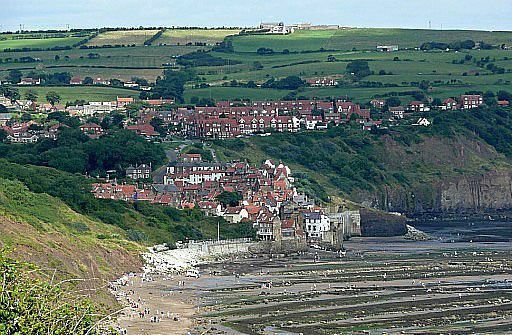 • Robin Hood's Bay clings to the steeply sloping hillside. • Het is een schilderachtig dorpje met nauwe kronkelstraatjes. • Bij eb zie je het indrukwekkende brandingsplatform. • Daarop zijn een aantal concentrische cirkels van kleine richels. ...door het landijs in de laatste ijstijd. Ze komen helemaal uit het Lake district. .................................................. Totale stijging = 1420 m ? up to one of England’s finest summits. 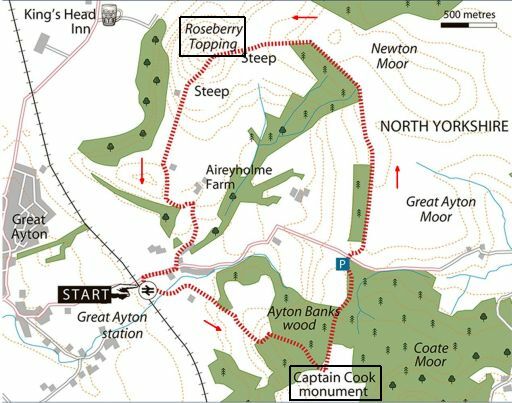 Captain Cook’s Monument and Roseberry Topping in one circular route. legendary British explorer who was born in nearby Marton. little hill looks every inch a mountain. climbing the hillside to visit Captain Cook’s Monument. down through oak woodlands to your start point. deling naar Roseberry Topping vanuit Newton under Roseberry. Mij spreekt de langere wandeling vanuit Great Ayton meer aan. 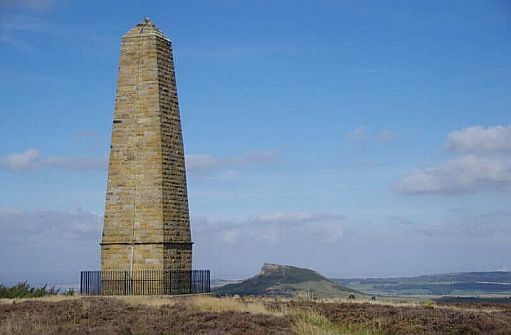 • Captain Cook’s Monument met rechts daarvan in de verte Roseberry Topping. 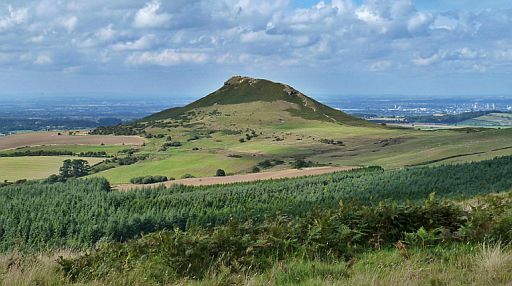 • Roseberry Topping with the well trodden path to the summit snaking its way up. • Hier start je in het dorp Great Ayton. • Desgewenst start je bij het station van Great Ayton. 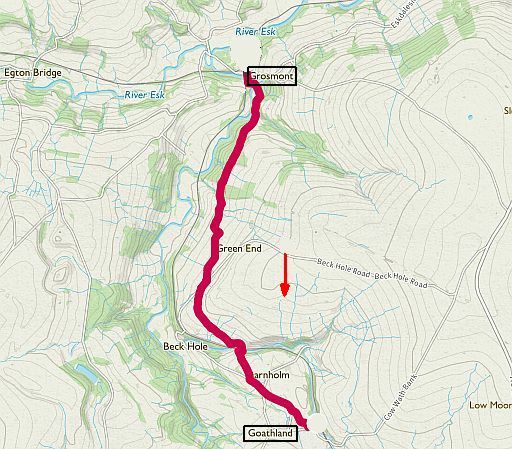 The finest route up the finest hill in the Dales. stunning 360 views from the summit. 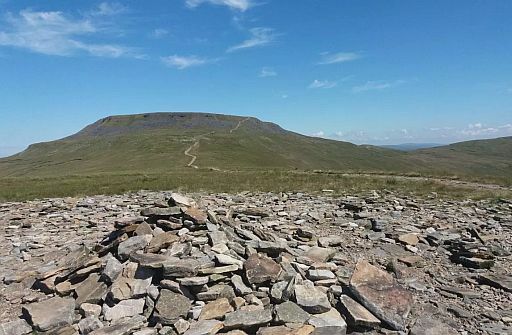 Ingleborough’s most famous features on the way to its mighty summit. by far the most well known peak in the area. 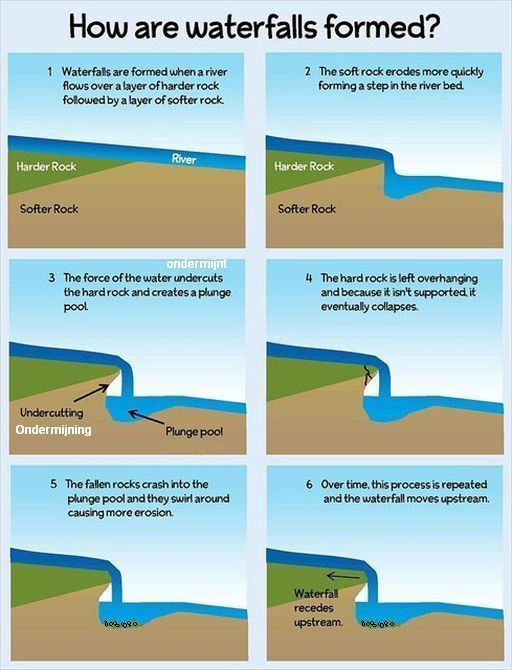 - sinkholes , (= A basin in limestone areas down which water disappears. 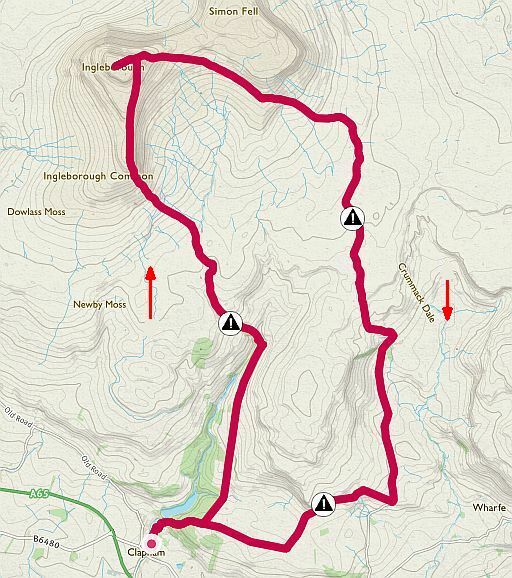 finest of all routes up Ingleborough, this is a must for hill walkers. • Start / finish: Clapham. 1. 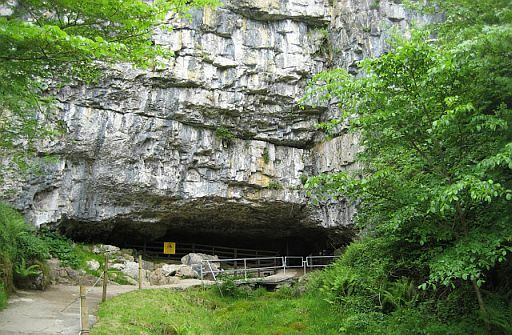 Entrance of Ingleborough Cave. 2. 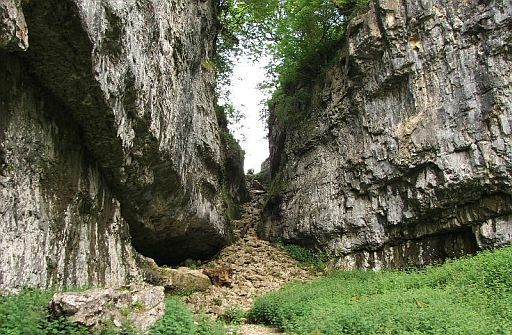 Walking up through Trow Gill, a dramatic limestone gorge. ... Britain’s highest unbroken waterfall. ... 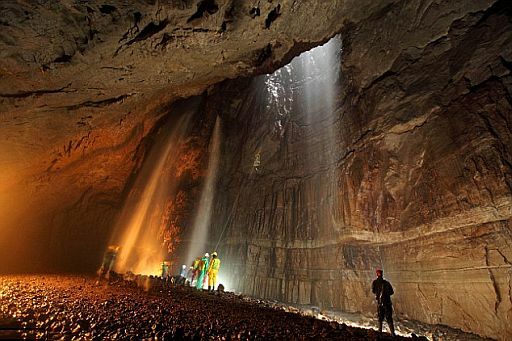 It lands on the floor of Gaping Gill, the largest cave system in Britain. 4. Ingleborough seen from Little Ingleborough. 5. 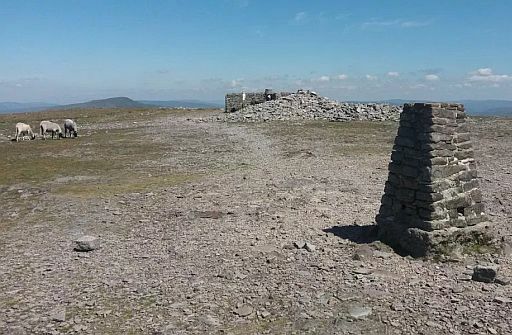 Ingleborough summit plateau with summit trig and shelter. ........(= land lying above the limit of enclosed farmland ). because it costs £6 for adults and £3 for children to access the trail. visits 4 stunning waterfalls as you stroll through ancient woodlands. Beezley Falls and Snow Falls on the River Doe, on a trail that was first developed in the 19th century for visitors arriving in Ingleton by train. 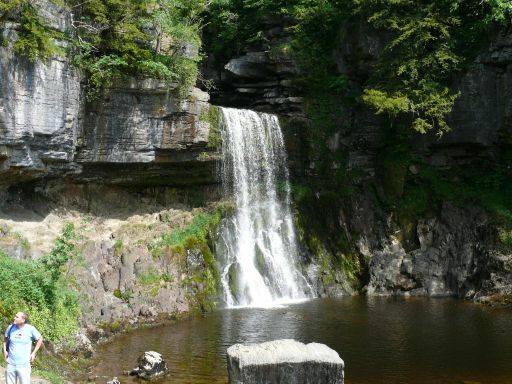 • Thornton Force plunges 46 feet into the River Twiss. .. of the Yorkshire Dales. • Note the layer of limestone above the Ingleborough slates. beautiful landscape of moors, woodlands and becks. the village of Goathland, made famous by the TV series Heartbeat. 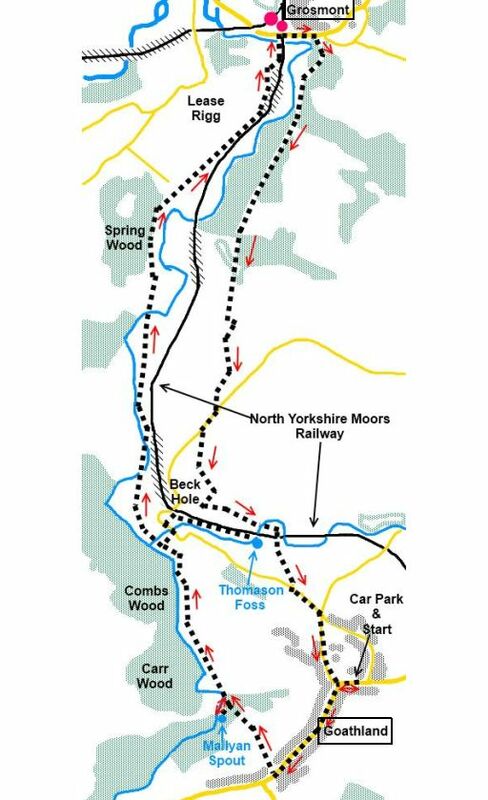 back to your start point on the North Yorkshire Moors Railway. ... or catch a train back. 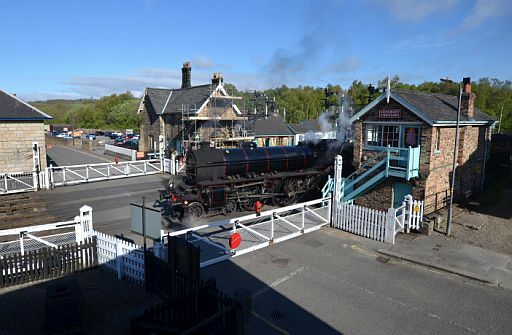 • Spoorwegovergang Grosmont met stoomlocomotief. 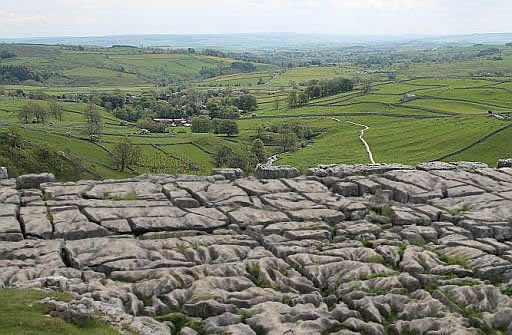 Great Yorkshire scenery, great walking and great rock formations. 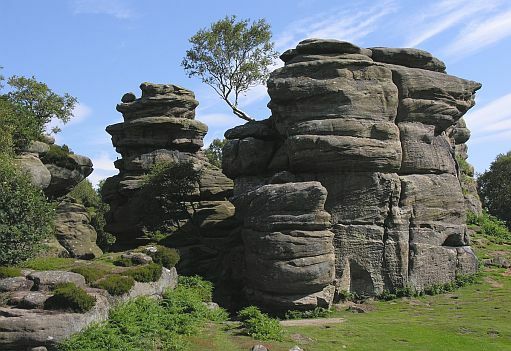 gritstone formations of Brimham Rocks. Grit — A sediment comprising coarse sand grains. 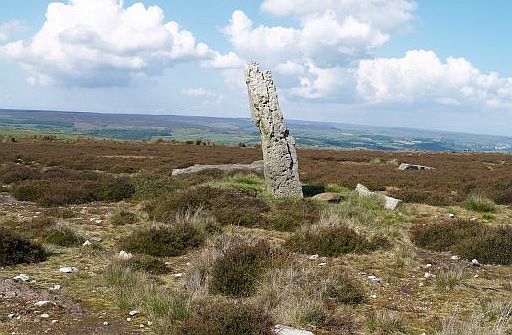 Gritstone (Millstone grit) — A coarse-grained sandstone. weird and wonderful shapes found at Brimham Rocks today. 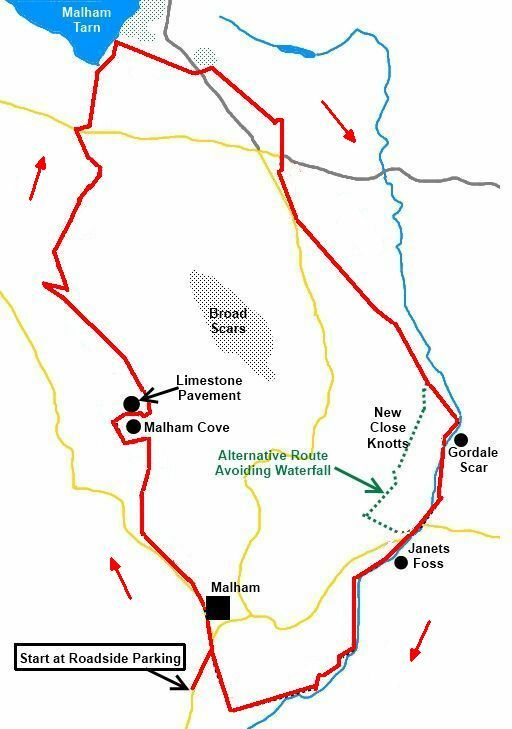 to the Brimham Rocks SSSI (Site of Special Scientific Interest). giant gritstone boulders eroded into strange forms. .. timetables before relying on it for your return journey. 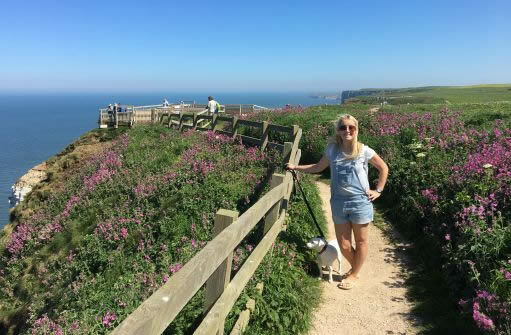 Brittannië) ten noordwesten van Flamborough Head, Humberside. met de enige broedkolonie jan-van-genten op het Britse vasteland. In het broedseizoen krioelen de richels van de nestelende vogels. and bustle of a breeding seabird colony. along 3 miles of chalk cliffs as these are the best spots. will remain with you for a long time ! along the coast and the lighthouse at Flamborough Head. also reporting sights of basking sharks and whales lurking in the depths. 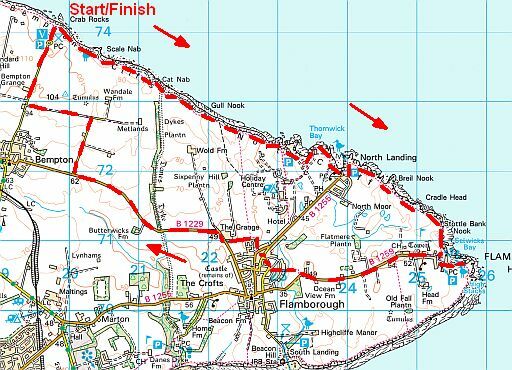 • Start / finish: the car park at the RSPB’s Bempton Cliffs nature reserve. • A well-maintained path with six viewing platforms. ..... Deze tocht doet het zuidelijke deel. tackle all 190 miles of the Coast to Coast! 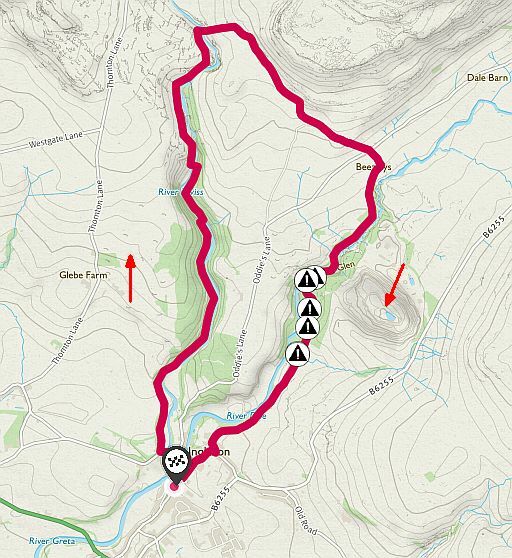 that makes the Dales such a popular place to walk. .. 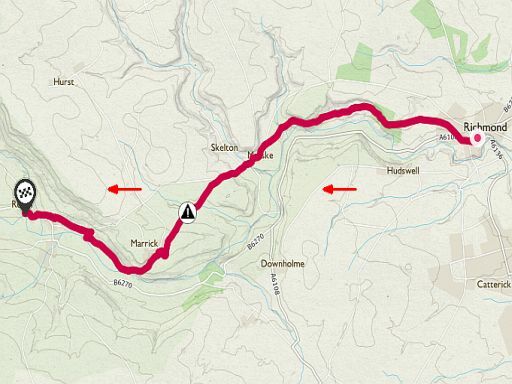 There is a bus between Richmond and Reeth. ... - Vooraan: . 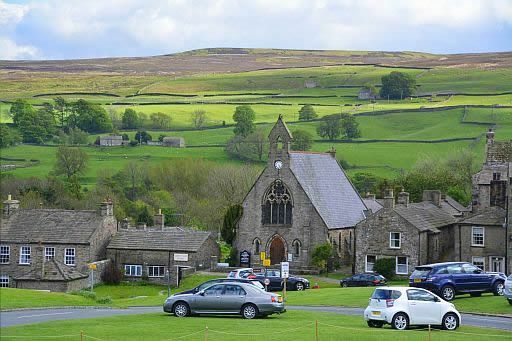 the large sloping village green with the houses and church on its fringes. ... - Daarachter:....the hay meadows ( full of wildflowers in June !). ............................. field barns to store the hay. ....- En bovenaan:..the upland heathland ( the wild, open heather moorland). 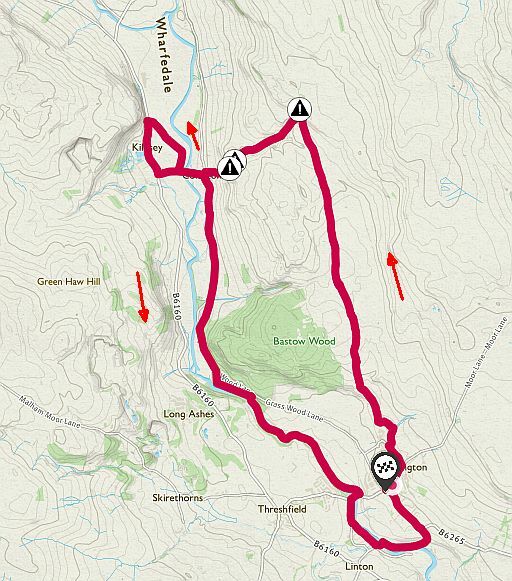 circular route. 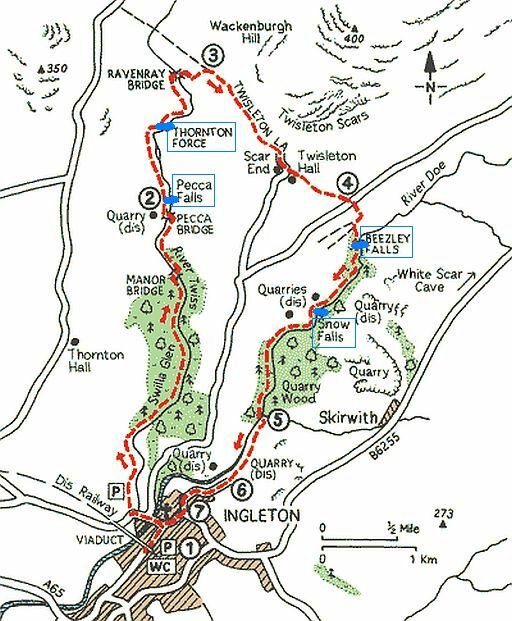 Grassington is a wonderful place for walkers. 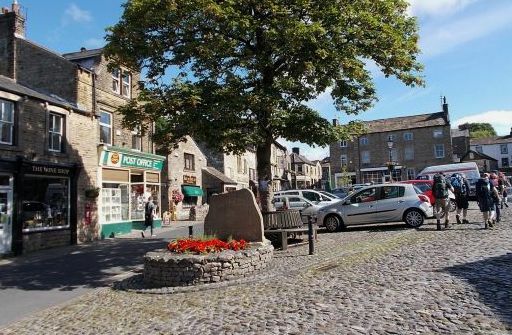 If you’ve never visited Grassington, start planning your trip now. 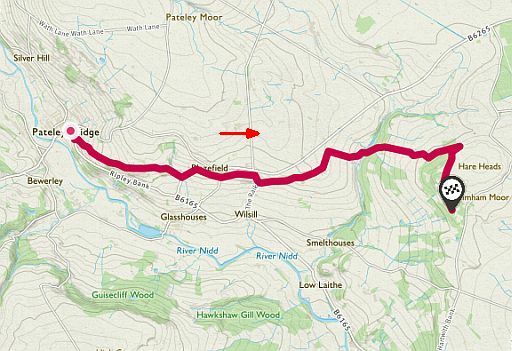 for walkers planning to explore the Dales on foot. River Wharfe a regular companion for much of this beautiful route. leaved woodland in the Dales – on your return journey to Grassington. 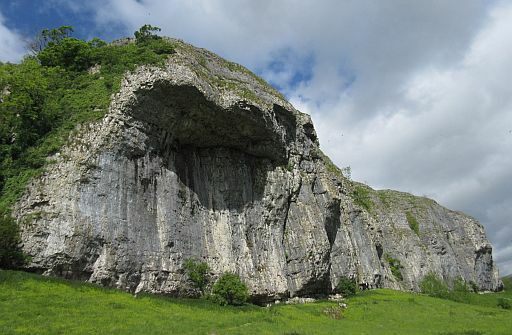 • Kilnsey Crag is one of Wharfedale's most prominent landmarks. • It is a truncated spur (= afgeknot spoor). .. Wharfedale Glacier some 12,000 years ago. • The overhang has always been a serious challenge for climbers. inspired their legendary literary work. The Parsonage was their home, nowadays a museum. street, quirky shops and good pubs. landscapes that feature in their stories. ‘perfect torrent racing over the rocks, white and beautiful’. the rocks, as it can slow to a trickle in the dry summer months. Lower Laithe Reservoir before finishing back in Haworth. renowned for being wet ! 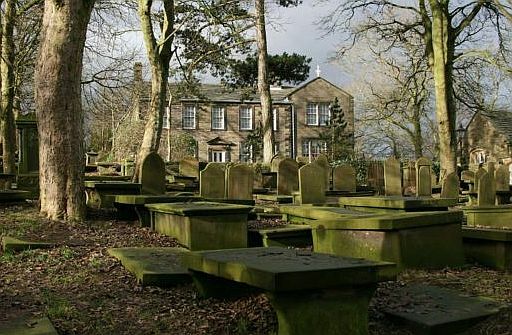 The Parsonage where the sisters lived, is now the Bronte Museum displaying their rooms, furniture, cloths and personal possessions. feeling that you understand their life and not just the famous books. 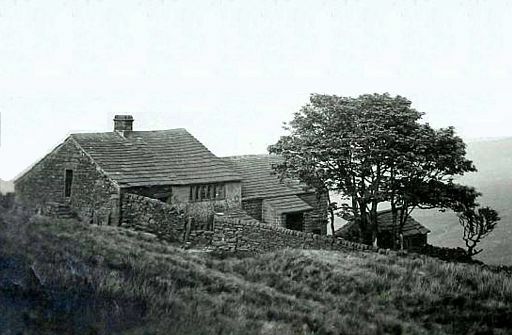 Wildfell Hall were all written at the Parsonage. town in the village below. 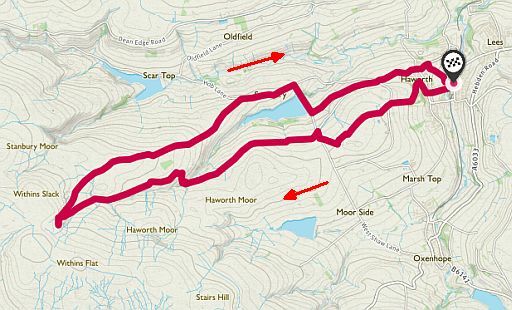 • Start / finish: Haworth.
. This was the place where astonishing art was created by three sisters. 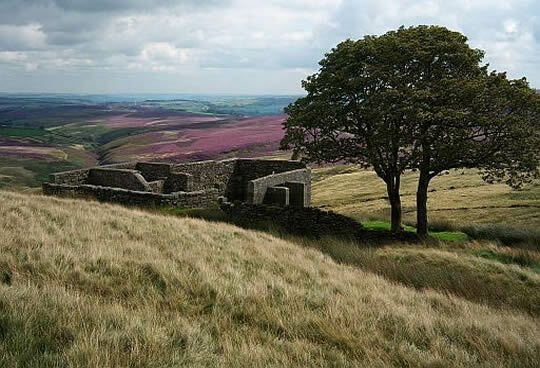 • Top Withens, Haworth Moor (upland acid grassland and upland heathland). .. in Emily Bronte's novel. • Top Withens in the 1920s. ......aan de Moor Side Lane. .. a designated UNESCO World Heritage site. .. one of the ‘Seven Wonders of the Waterways’. 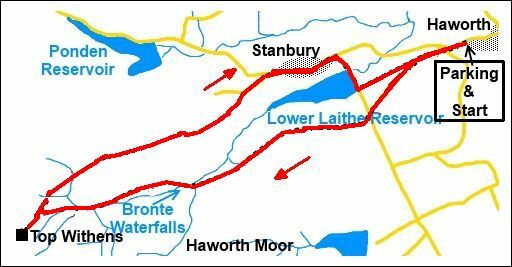 • This canal was planned to be the first to cross the Pennines. .. Then, works were suspended several times for the lack of money. .. in this area and the costs for it were five times higher than planned. .. 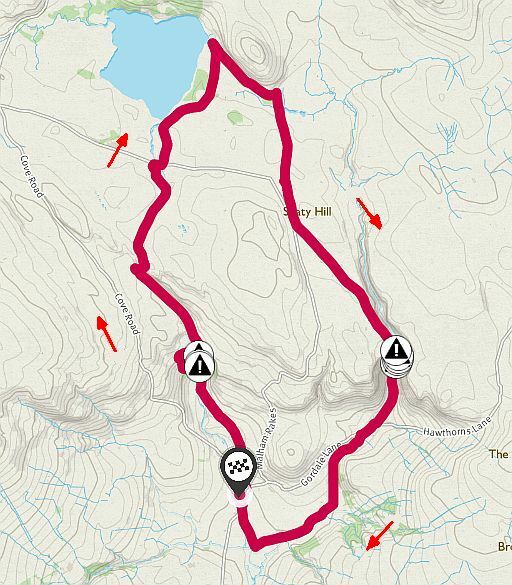 The biggest handicap was then the complexity and variety of the route. .. interesting waterways at all. .. There is a bus. Tocht 35 . Leeds & Liverpool Canal bij Gargrave. Dit ligt ongeveer 5 km ten noordwesten van Skipton. 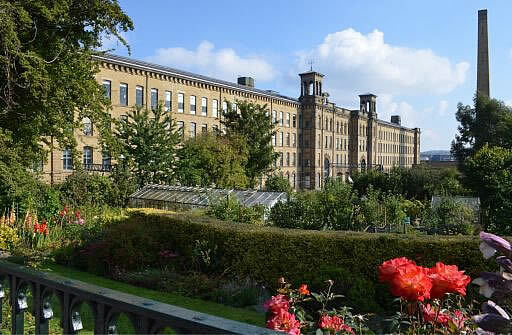 • Salts Mill , Saltaire. 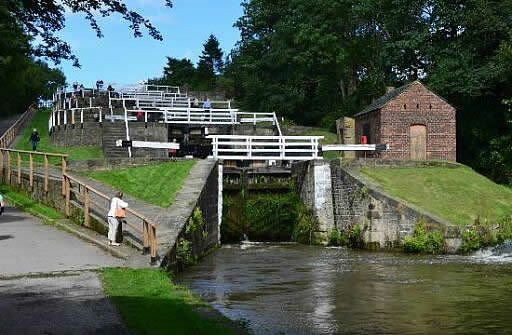 • Bingley Five-Rise Locks (= sluizen).